Learning number lines is a math skill that can be easily transferred to many other subjects such as science and history (think rulers and timelines). 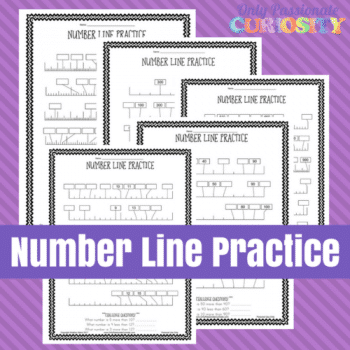 So, check out these Number Line Practice Worksheets from Only Passionate Curiosity to practice this important skill with your child! There are 5 different worksheets for different ability levels and for different tasks. First page number lines go up to 20, and each page progressively increases with the last page going up to 1000! It’s a great way to extend number line learning and give your child visual experience with numbers. Grab the Number Line Practice Worksheets here!